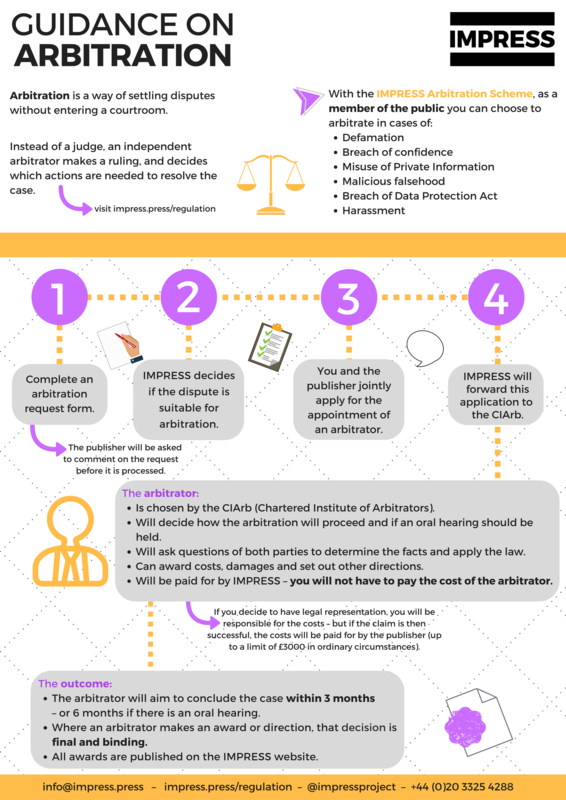 IMPRESS offers an arbitration service scheme for bringing legal claims against publishers as an alternative to going to court. Arbitration involves an independent third party – an arbitrator – who considers all the facts of the case and comes to a decision. At IMPRESS, arbitrators are appointed by the Chartered Institute of Arbitrators, the leading non-profit body in the field of arbitration. Claims can be made by individuals or organisations against any of the publishers that are regulated by IMPRESS. (f) breach of the Data Protection Act. 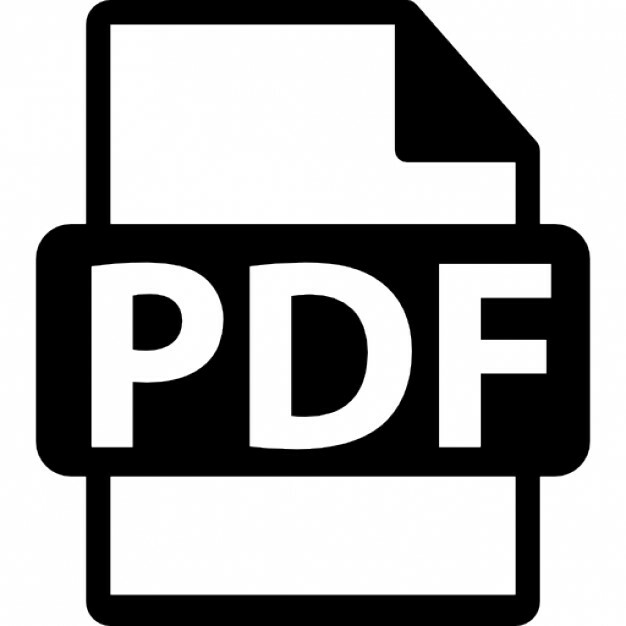 To request and arbitration, download an Arbitration Request form. Our arbitration scheme is designed to be simple and straightforward. For more information, see the IMPRESS Arbitration Scheme. 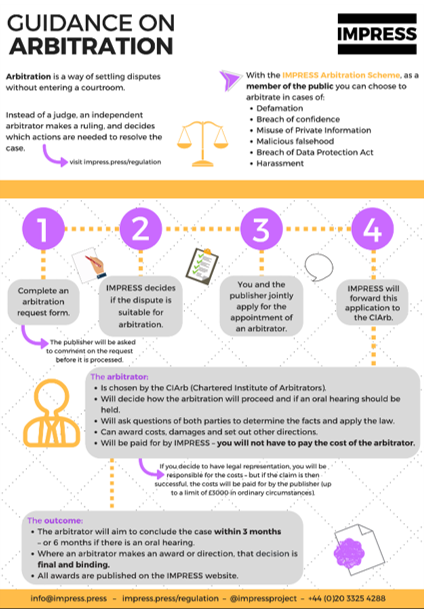 For more details on how the IMPRESS arbitration scheme works, see the IMPRESS Guidance on the Arbitration Scheme.